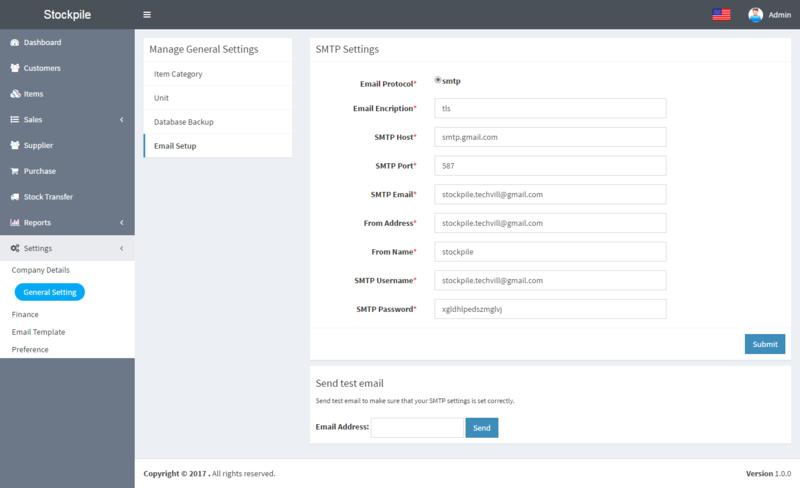 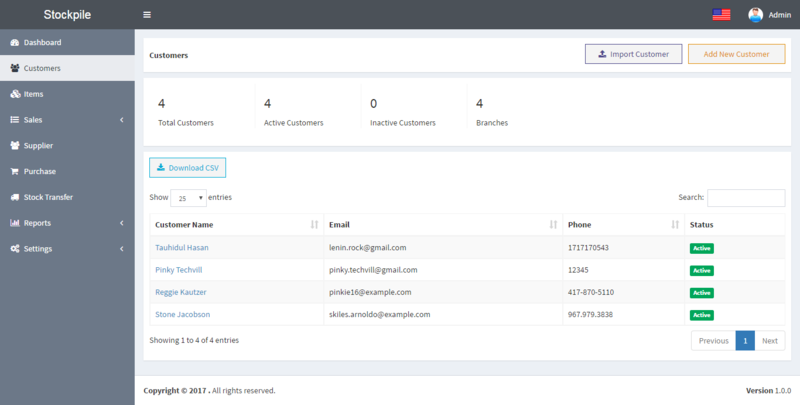 Easily manage your customers, create multiple Branches. 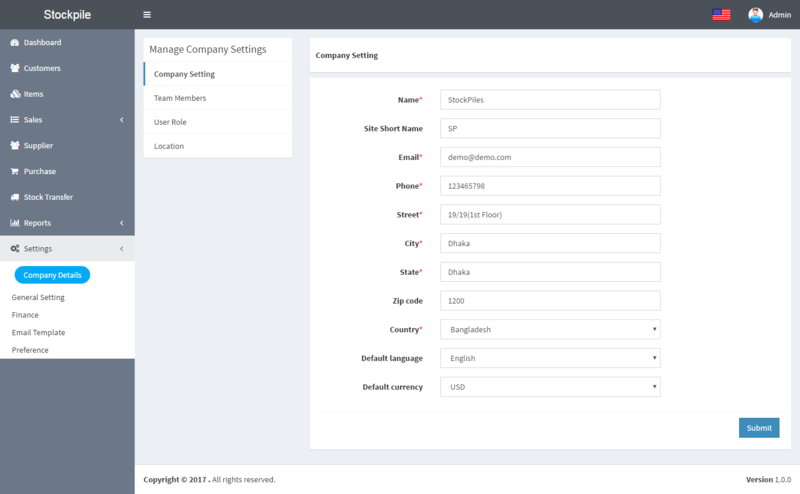 Customers area is fully separated from the admin area. 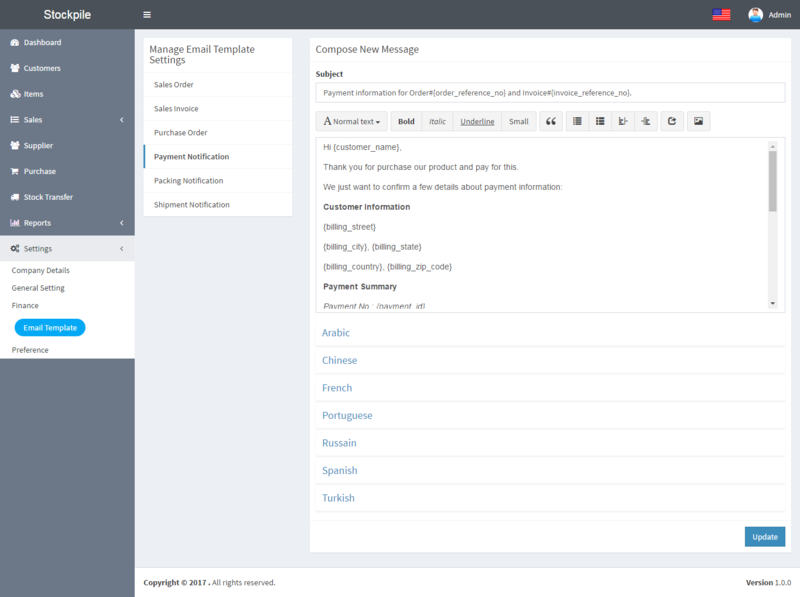 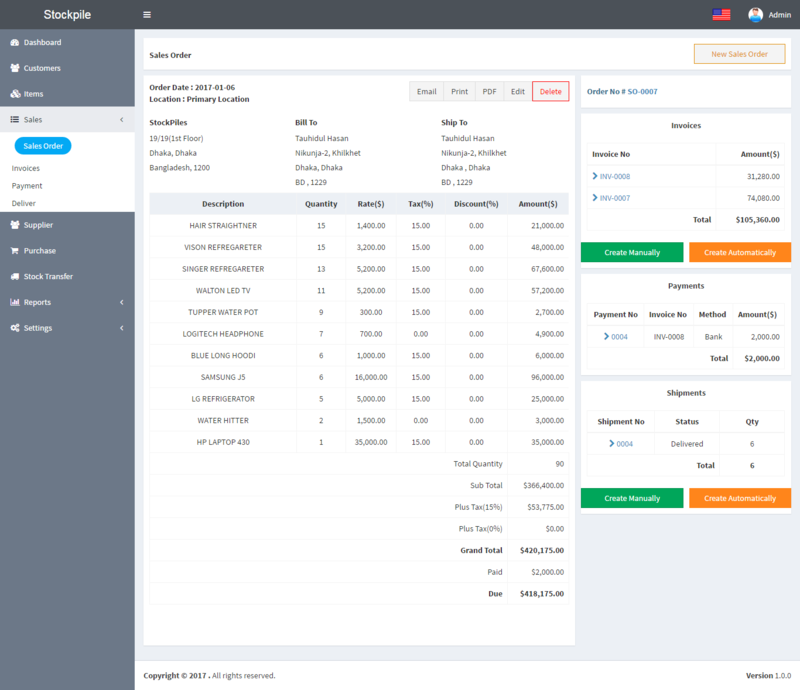 Customers have their own panel with all financial data from your company presented in clear view. 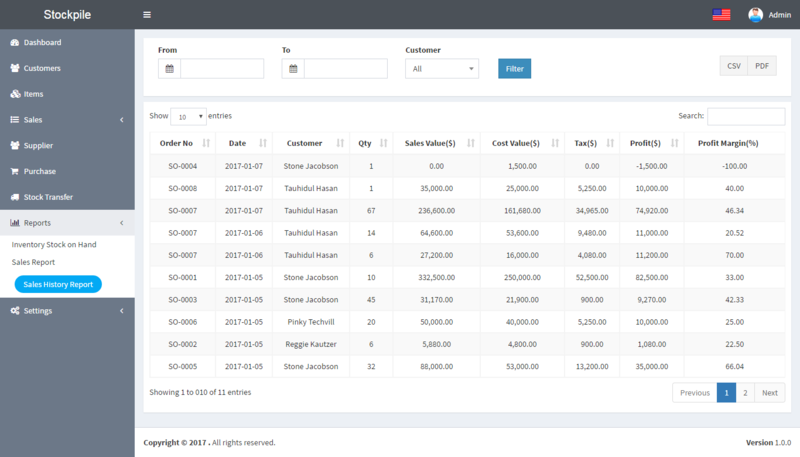 StockPile allows you to keep in track your Sales Order, invoices, Payments, Shipments and generate reports. 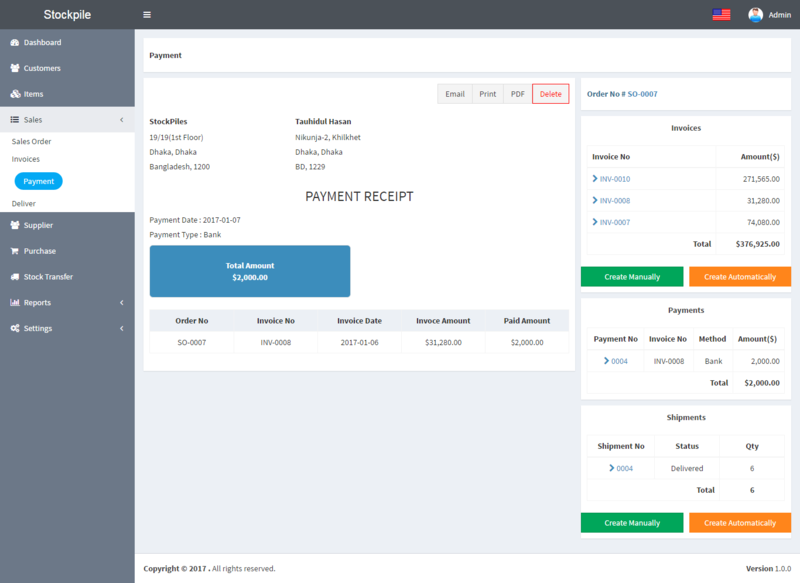 Invoice with different tax based on item. 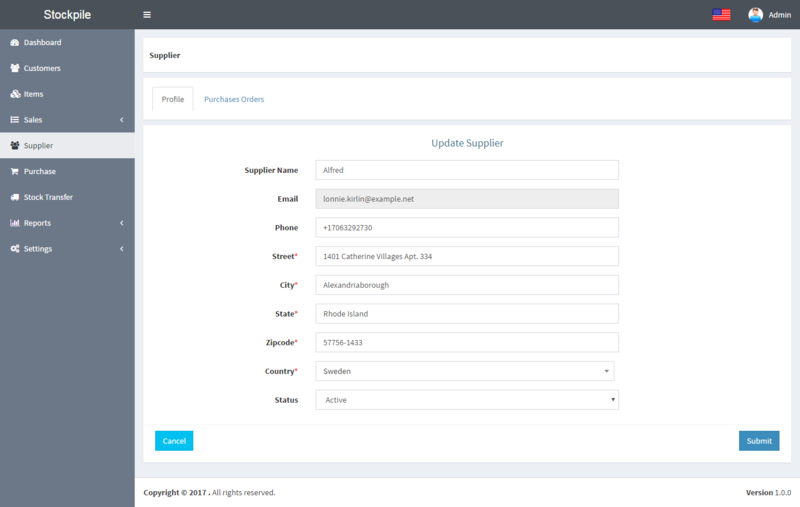 Avoid stockouts, make prompt reorders and get automatic stock level updates whenever sales and purchases are made. With Stockpile, you will also be able to manage inventory across multiple warehouses and in multiple currencies. 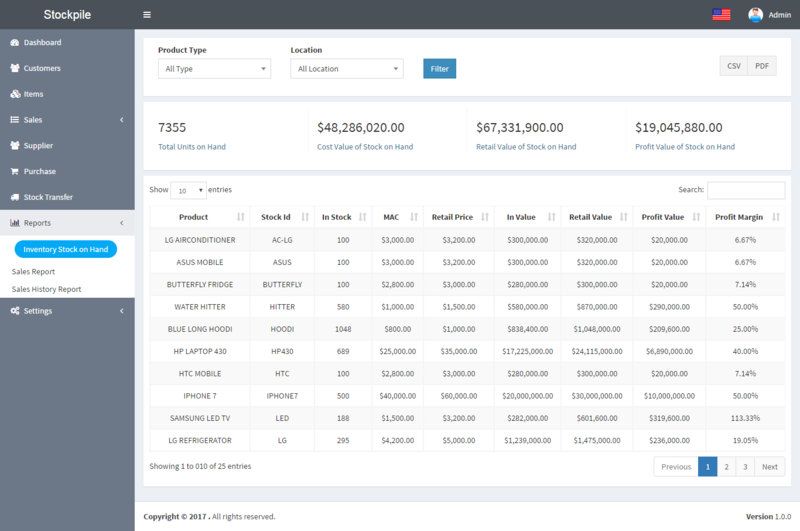 Stockpile allows you to always have the right amount of stock, at the right time. 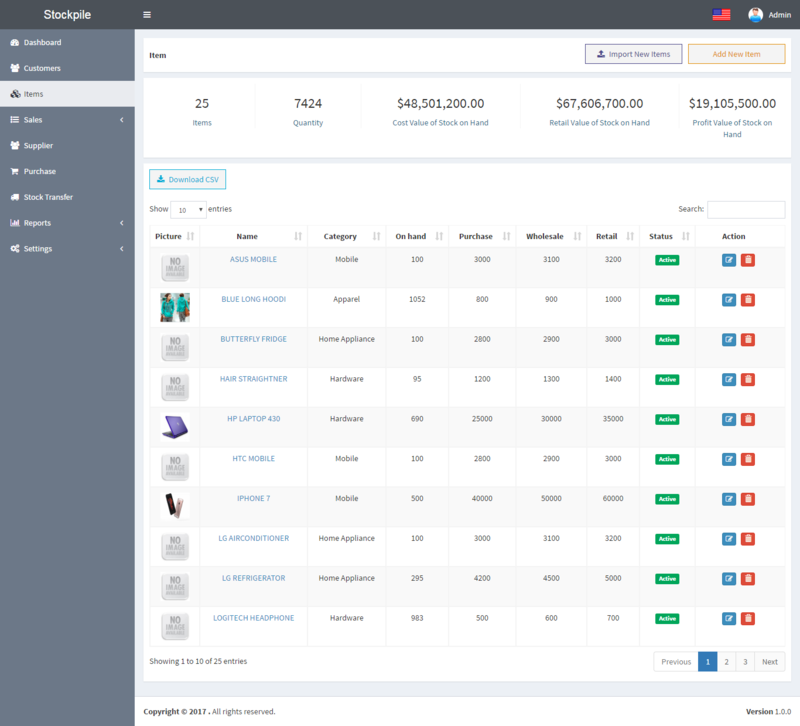 Never over stock or under stock your inventory again. 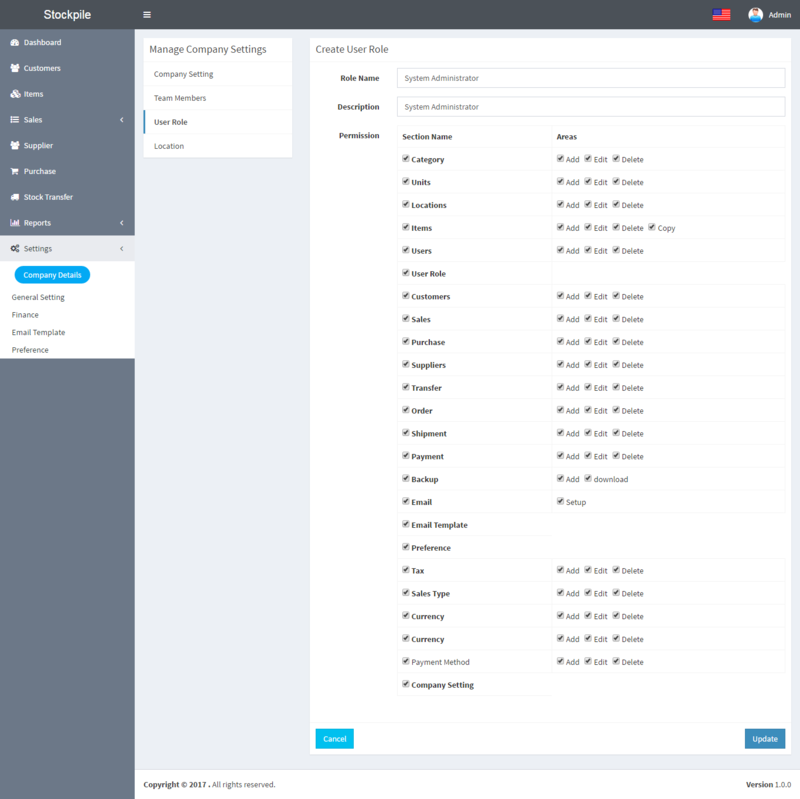 Manage your inventory efficiently across multiple warehouses and locations all on a single platform. 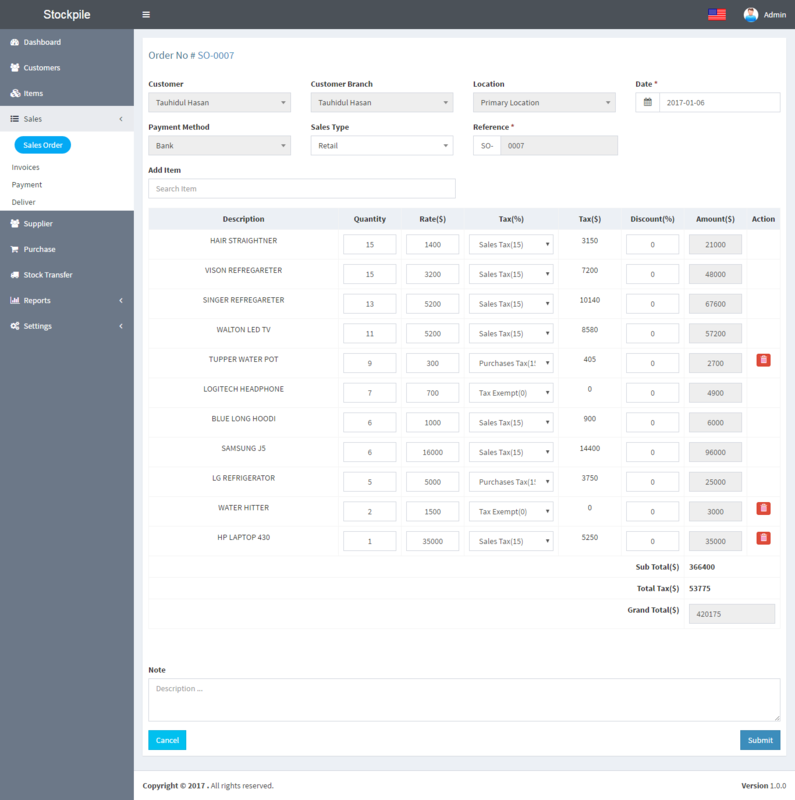 Stockpile enables you to automate and control your order fulfillment, integrate locations and processes, execute each step needed in the workflow, and have visibility of the entire process. 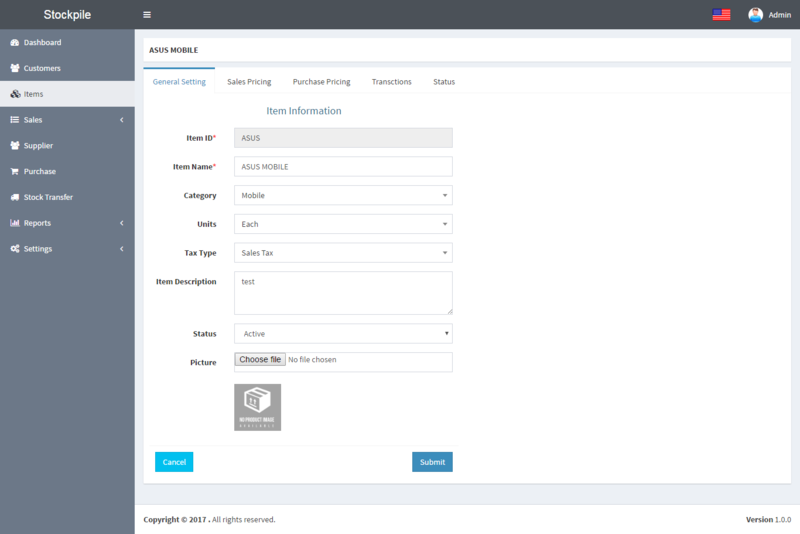 Now you can fulfill orders faster, in greater volume and at lower costs. 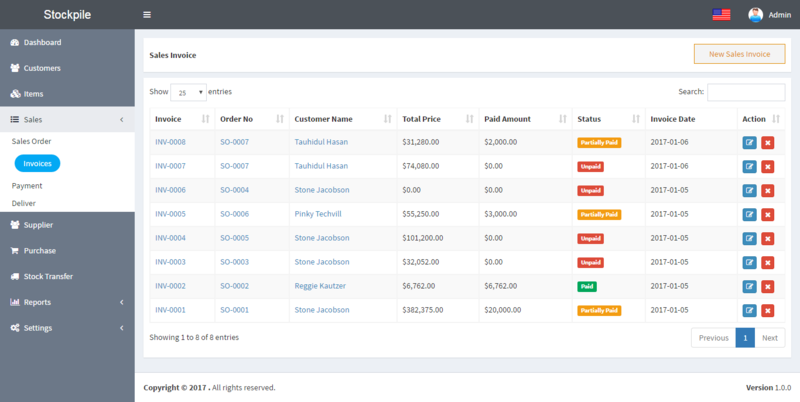 Increase your business efficiency of handling orders with our order management software that makes it easy to track and fulfill orders. 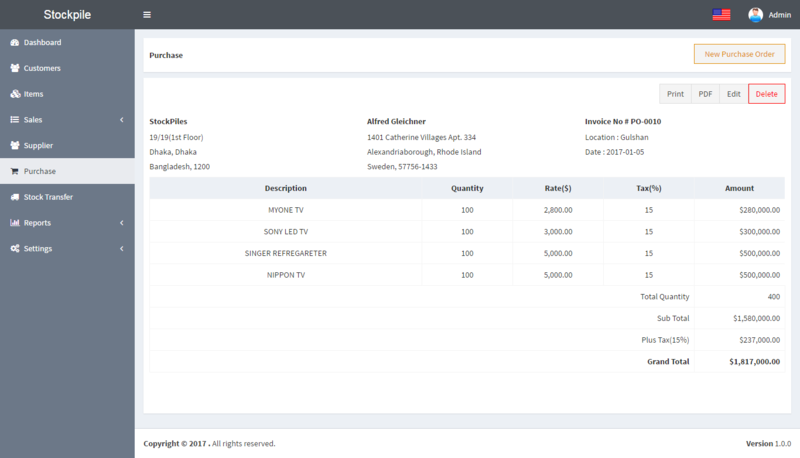 Stockpile allows you to record customers’ purchase history and details about their preferences, so you can understand their future behaviors better. 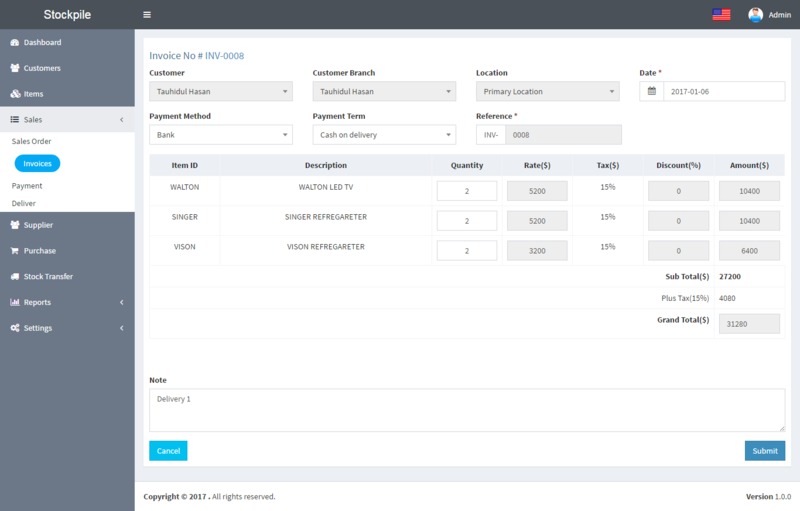 Billing details, postal addresses, average purchase types and sizes, can be recorded in a way that assists order management and provide them with a more personal experience. 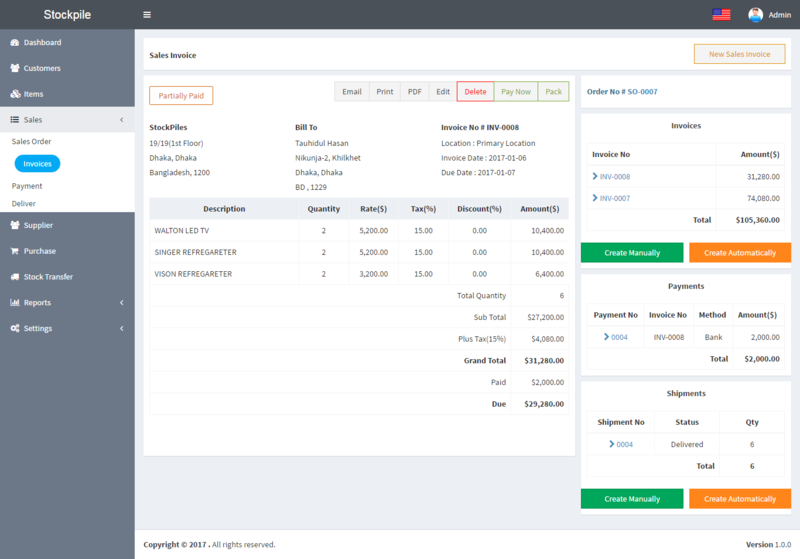 An accounting system that integrates seamlessly with your inventory and order management system. Automate your invoicing and gain greater visibility over costs and profits. 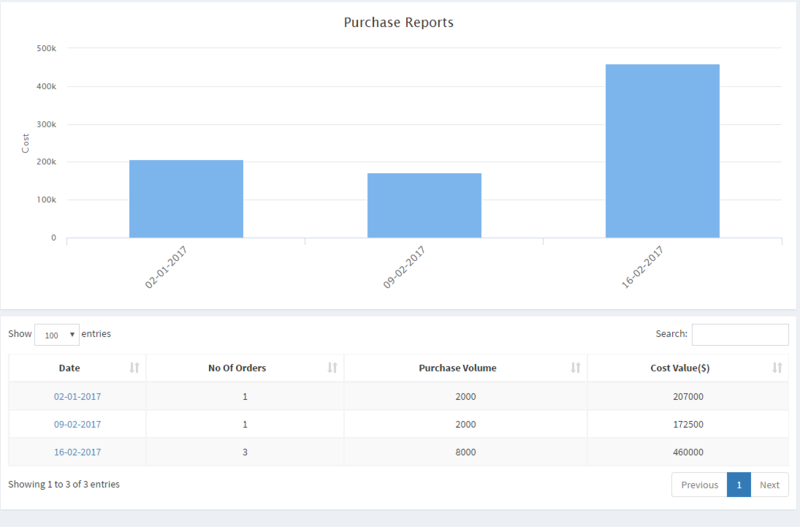 New Feature: Graph added on Sales Report. 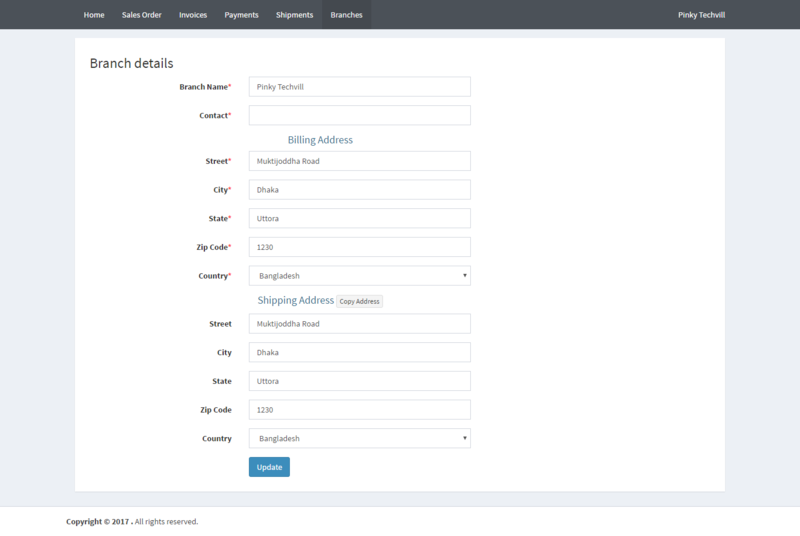 New Feature : Pay All option for invoice payment.